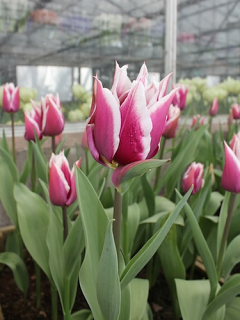 Buy Tulip Bulbs | Tulipa Ballerina | Gold Medal winning Harts Nursery. Ballerina Tulip will grow to 60cm in height with grey-green foliage with orange flowers that contain a hint of red on the outside. This perennial bulb will flower in the late spring. Order now for delivery in Autumn (Sept to Nov). Buy Tulip Bulbs | Tulipa Ballerina | Gold Medal winning Harts Nursery. 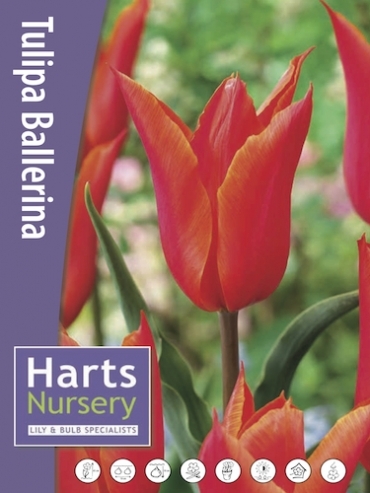 Planting and growing instructions: Buy Tulip Bulbs | Tulipa Ballerina | Gold Medal winning Harts Nursery. 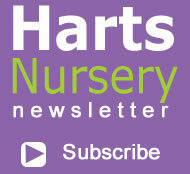 Plant care: Buy Tulip Bulbs | Tulipa Ballerina | Gold Medal winning Harts Nursery. Tell a friend about Buy Tulip Bulbs | Tulipa Ballerina | Gold Medal winning Harts Nursery.